Located in Macquarie Street, South Dubbo, the Western Region of the UPA has a splendid view of the beautiful Macquarie River. Our facilities are also situated next door to the Macquarie Club and within walking distance to the main shopping area. We pride ourselves on providing excellent Christian quality care for our residents and consumers by our friendly, dedicated staff. Our grounds are beautifully manicured with a large array of colourful flowers and plants all year round. Access to public transport, medical assistance, shops, parks, bowling greens, tennis courts and club is available close by. There is a bus stop at the front. The Bracken House bus regularly goes to nearby shopping centres and other recreational outings. Western Region UPA Home Care Services: Home Care Packages, DVA Home Care, CHSP Domestic Assistance, CHSP Social Club and private services. 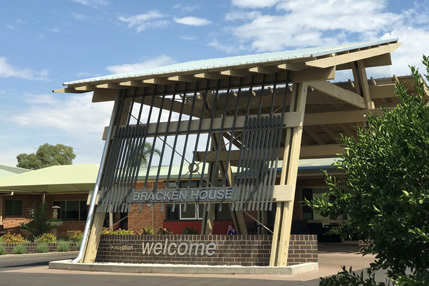 UPA Yeoval consists of Hazelholme Hostel, Yeoval Community Nursing Home, and a Community Aged Care Programme. Also Yeoval have a wide range of community health programs, including direct support of primary healthcare. Yeoval Community Care continues to provide a valued service to the community. Over the year, efforts have been made to secure other services for the benefit of the community through the Rural & Primary Health Service Grant and the Non-Government Organisation Grant Funding. Regular comments made by visitors include how warm and homely the Yeoval facility is and how friendly and helpful the staff are.